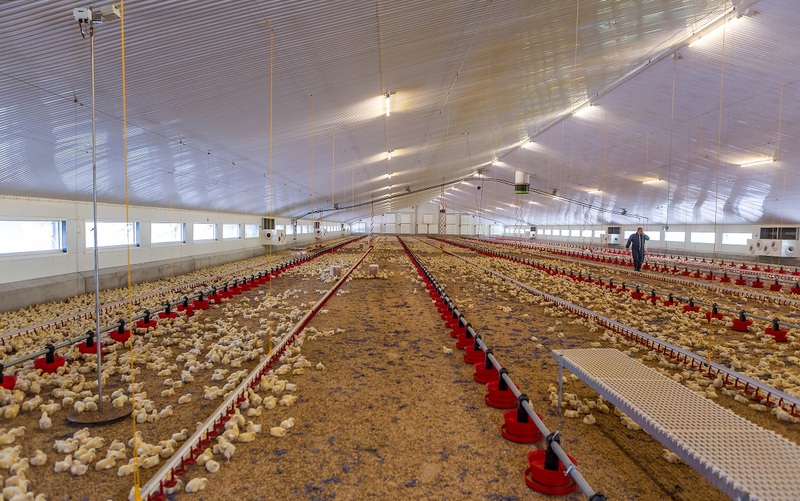 GeoCube provides sustainable and controlled heating throughout your poultry shed. For every kilowatt of electricity GeoCube utilises for power, it generates up to four times the amount of heat. It is this high level of energy efficiency that gives you low operating costs and reduced fuel bills – all year round. GeoCube heat pumps absorb heat from the ground (or a water source). 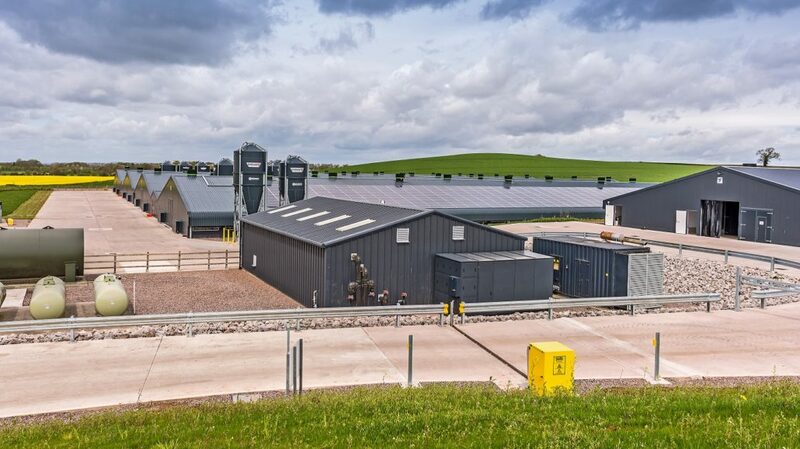 They then use the latest refrigeration technology to transfer this heat to a refrigerant and raise it to a temperature that is suitable for space heating across your site. Unlike air temperatures that fluctuate dependent on the climate and the seasons, ground temperatures are much more stable. This means GeoCube can provide efficient heating – all year round. A GeoCube heat pump is classified as a low temperature heating system and can produce water temperatures as high as 55°C. This temperature is sufficient to heat a poultry shed up to 34°C, (dependent on HVAC equipment). Like any heating system, GeoCube is most energy efficient when operating at lower temperatures. It is therefore most effective when combined with OptiRad, our bespoke, low temperature fan coil units, or VentMax, our climate control and ventilation system. Our aim is to design your heat pump system so it will deliver the optimum heating efficiency. Our expert team therefore undertake extensive thermal modelling and spend time understanding any existing building management systems you may have, so we can accurately size and configure the best solution.